Attention Deficit Hyperactivity Disorder (ADHD) is a common disorder seen in children. 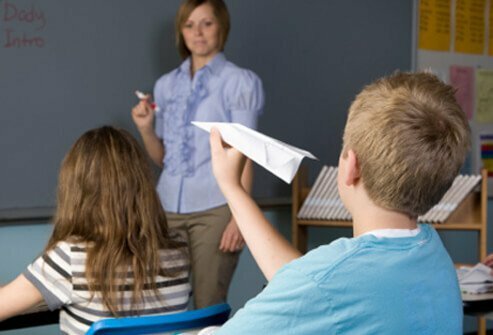 ADHD symptoms in children include the inability to focus on tasks or pay attention, impulsiveness, and/or hyperactivity. The American Psychiatric Association estimates 5% of children have ADHD, though some studies believe the incidence may be higher. The term “ADD” was used by the American Psychiatric Association in the Diagnostic and Statistical Manual (DSM), third edition, first published in 1980. At that time scientists believed attention difficulties are sometimes independent from impulse problems and hyperactivity. By the release of DSM-IV in 1994, the name of the disorder had been replaced with “ADHD.” Today, “ADHD” is considered the current term, while “ADD” is considered outdated. ADHD Symptoms in children include unusual hyperactivity, impulsivity, and inattentiveness. While these behaviors are normal in children at times, children with ADHD have symptoms that are more frequent and severe. Most children show signs of inattention, hyperactivity, and impulsiveness as part of normal behavior and development. In children with ADHD these behaviors are more severe and frequent. Diagnosing ADHD requires several steps. To diagnose ADHD in children, associated ADHD behaviors must persist for six months or more, be observed in multiple settings (such as home, school, and other places), and interfere with the child's schoolwork or relationships. Healthcare professionals use guidelines from the current edition of the American Psychiatric Association’s DSM to help diagnose ADHD. By using this standard, professionals seek to assure that children are appropriately diagnosed and treated for ADHD. Only trained health care providers can diagnose or treat ADHD. Combined Presentation: If enough symptoms of both inattention and hyperactivity-impulsivity were present for the past six months. Predominantly Inattentive Presentation: If enough symptoms of inattention, but not hyperactivity-impulsivity, were present for the past six months. ADHD symptoms can change over time, and so can ADHD diagnosis. The average age of onset for ADHD is 7 years old. The first step in determining if a child has ADHD is to talk to the child's pediatrician about the behaviors observed and concerns you have. Often you will be referred to a mental health specialist who has experience in childhood disorders such as ADHD. There is no single ADHD test. The first step is to try to rule out other conditions that may have similar symptoms to ADHD. ADHD may be suspected when a child actually suffers from seizures, hearing or vision problems, learning disabilities, or anxiety or depression. Malnutrition: Improper nutrition can harm brain development in growing children, especially in the first year of life. Stress: Major life stress like divorce or death of a loved one can cause changes in children’s behavior that may sometimes mimic the symptoms of ADHD. Ineffective parenting: If parents are inconsistent or unsure of themselves, children without ADHD may develop behavior problems. Many other conditions may be responsible for symptoms that resemble ADHD. That’s why a doctor must take a close look at other possibilities before diagnosing a child with ADHD. An important part of helping a child with ADHD to overcome their challenges is to provide positive support and encouragement. Many children with ADHD are bright and creative and can use those strengths to their advantage. When parents, teachers, and coaches find something children with ADHD are good at, it is important to praise them and encourage those positive traits. 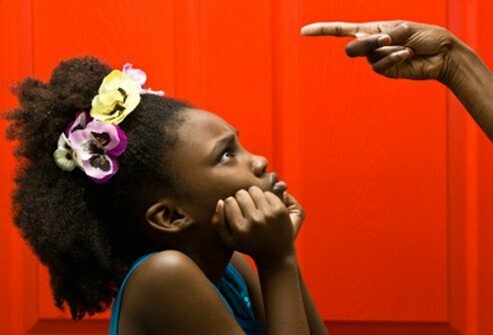 Remember that your child is not behaving badly on purpose, and know that your child can learn and grow. Observe them with arts and crafts. Praise them as they work, or let them know you appreciate what they’ve created once they’ve finished. When your children with ADHD help with chores, make sure to recognize their contribution. Let them know they are valued. Many children with hyperactivity need a lot of exercise. Organized sports can be a great way for them to blow off steam, and sports also give you opportunities to recognize their talents. Children with ADHD often benefit from well-defined schedules and routines. Knowing what to expect helps the child manage daily tasks. Understand Your Routine: Pay attention to the things that need to be done every day, and when they need to be done. Set aside time for meals, chores and play. Be Prepared to Stick to the Schedule: Make the schedule you establish a priority. This can be tricky in daily life, so prepare ahead of time. For example, you can get breakfast items ready the night before, or pack a day trip bag for your beach trip the day before. Know When to Make Changes: Nobody can be perfectly consistent, but if you find yourself slipping out of your set routine several times in a row, be prepared to re-establish the schedule. Make sure to sell the change enthusiastically to your child with ADHD in terms he or she will understand. Charts and checklists can also be used to help the child know what has been done and what tasks need to be completed. As the child finishes each task, he or she can check them off the list. Time management skills and cues can help them, such as timers for homework or play time. Create a family calendar and either put it on the wall or keep it organized online. This will help you plan more effectively, as well as recognize scheduling conflicts before they become problems. Make sure instructions are clear. 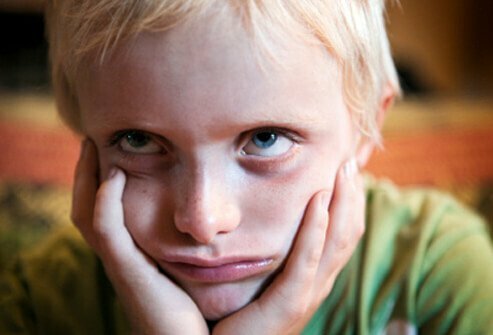 Children with ADHD may have difficulty following vague requests. Instead of telling your child to "clean the mess," tell him to "make the bed and put your clothes in the closet." Instead of saying, "play nicely," ask your child to "give your friend a turn to play with the video game." Give step-by-step instructions for larger tasks. Stay calm and speak clearly, and make eye contact to keep your child focused on you. Ask your child to repeat instructions back to you to make sure they are understood. One type of effective consequence for children with ADHD can be time-outs. These can be particularly useful for younger children and can remove the child with ADHD from the situation that may be stressful or over-stimulating. 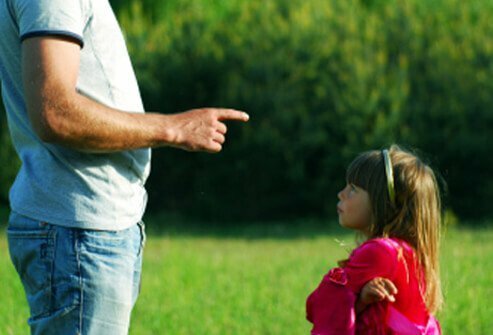 Time outs should be immediate (at the time of the behavior) and should last no longer in minutes than the child's age in years (for example, a 6-year-old should get a time out for no longer than 6 minutes). Often, children with ADHD may whine, nag, yell, or argue for attention. Ignoring these undesirable behaviors may be an effective consequence when done consistently. 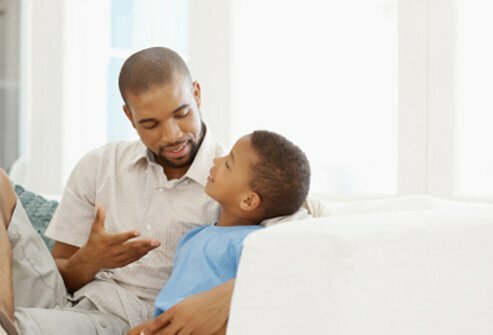 Another way to respond to these attention-seeking behaviors is telling children with ADHD in a calm and quiet tone that they will be listened to when they are calm and quiet themselves. If a child’s behavior could injure themselves or others, this should not be ignored. 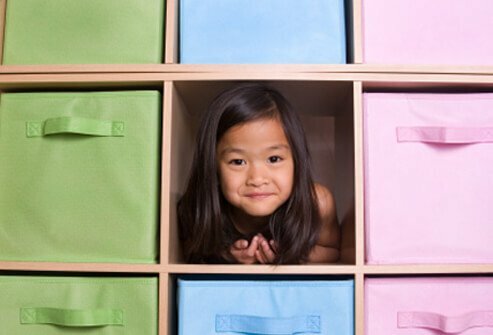 ADHD in children can manifest as having difficulty organizing tasks and belongings (also referred to as executive functioning skills). 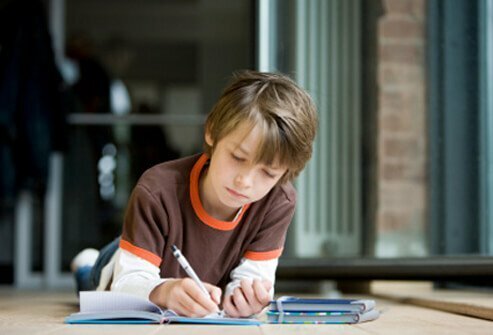 Doing homework and performing in a classroom may be stressful for children with ADHD. Parents and teachers often find using color-coded binders and notebooks for each subject along with a checklist of homework for the day to be helpful. Having a second set of textbooks at home may help the child who forgets to bring books home. Create an organizing system for your child and help him or her follow it. 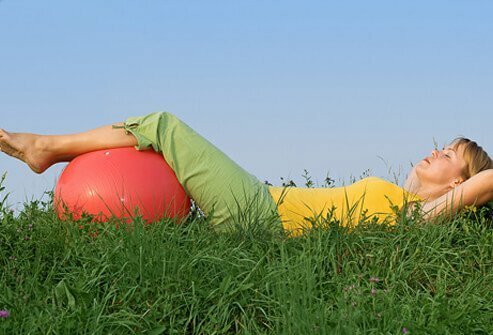 Children with ADHD can easily become over-stimulated, so quiet spaces are important. There are many distractions at home from televisions, computers, video games, and siblings. If your child has ADHD, make sure to have a space free of distractions so they can complete homework assignments and other tasks. Set small, gradual, and attainable goals. It is unrealistic and stressful for a child to be expected to change overnight. Just as with losing weight you cannot expect to lose 25 pounds overnight and need small increments along the way, your child needs small steps to accomplish behaviors that are important. 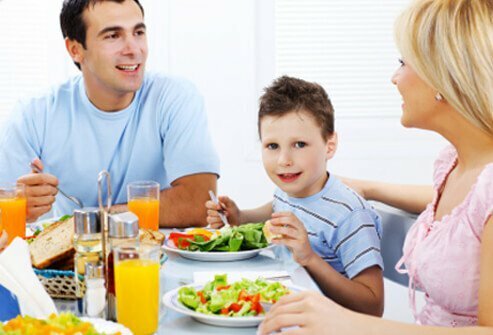 If you want your child to sit still when you go out to dinner, break up the meal into small, attainable segments such as not interrupting conversations for five minutes, then remaining seated for ten minutes. Offer praise and rewards for each goal met. Take it one step at a time as far as attempting to change challenging ADHD behaviors in children. Remember that your child is not behaving this way purposefully. Changing will take time and patience. Expecting change all at once is stressful and frustrating for the child. Pick just one or two things to change such as not interrupting, or putting toys away, or not arguing about homework. Changes may be gradual and it is important to praise your child for every positive accomplishment along the way. All children are good at something. 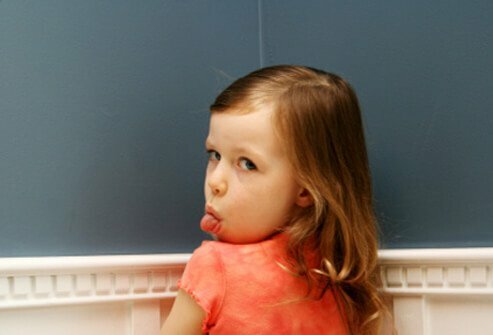 Children with ADHD are often criticized for their negative behaviors. That means their positive behaviors and accomplishments are often overlooked. Help your children with ADHD find out what they are good at, whether it's a sport, a musical instrument, a class at school, art, or any other activity. It doesn't matter what the hobby is – having something they can be successful at and receive praise for will improve self-esteem. 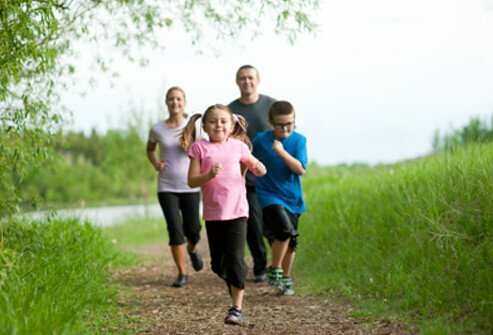 Children with ADHD often have a lot of excess energy and regular exercise can help them release their pent-up energy in healthy and constructive ways. Organized sports can provide regular exercise, a predictable schedule, and an area for your child to receive positive rewards and praise. Activities such as martial arts or yoga can be beneficial for children with ADHD as these emphasize the mental and physical aspects of activity. For some children with hyperactivity, highly active sports where there is more constant motion such as running track may be better than sports with a lot of 'down time' such as baseball. Lack of sleep can make it more difficult for children with ADHD to focus and pay attention. Falling asleep is often a challenge for children with ADHD who are frequently over-stimulated to begin with. A scheduled and consistent bedtime should be part of your child's schedule. Also coming up with a bedtime routine where the child is calm and quiet before bed can help them relax. Children with ADHD should avoid caffeine, and the television, computer, and cell phones should be turned off well before bed time so they don't interfere with the child's sleep. 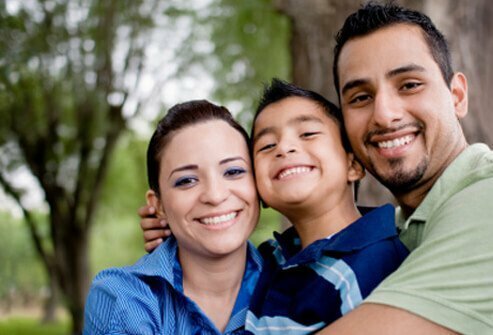 Like all children, kids with ADHD need to know they have their parent's unconditional love and support. Even if you are angry or frustrated at your child's behaviors remember to tell them you love them no matter what. It can also be stressful and frustrating as the parent or caregiver of a child with ADHD. Remember to take care of yourself. It can help to remember your child cannot control his behaviors and they are due to a disorder. Take a break if you need one, and don't be afraid to ask for help. You will be a more effective parent if you take care of yourself. Centers for Disease Control and Prevention (CDC): "Data & Statistics"
National Resource Center on ADHD: "Parenting a Child with AD/HD (WWK2)"
National Institute of Mental Health (NIMH): "What is Attention Deficit Hyperactivity Disorder (ADHD, ADD)?"